Home - Hiking and Trekking - Himalaya - Mera Peak Climb and Trek – Amphu Lapcha pass – Everest Base camp. A beautiful trek and peak ascent. Landing in Lukla at the base of the Khumbu valley we will walk across on the second day Chetra La Pass to the Lakbu Khola valley in the Makalu Barun National Park were we will trek for 5 days to Mera peak base camp. 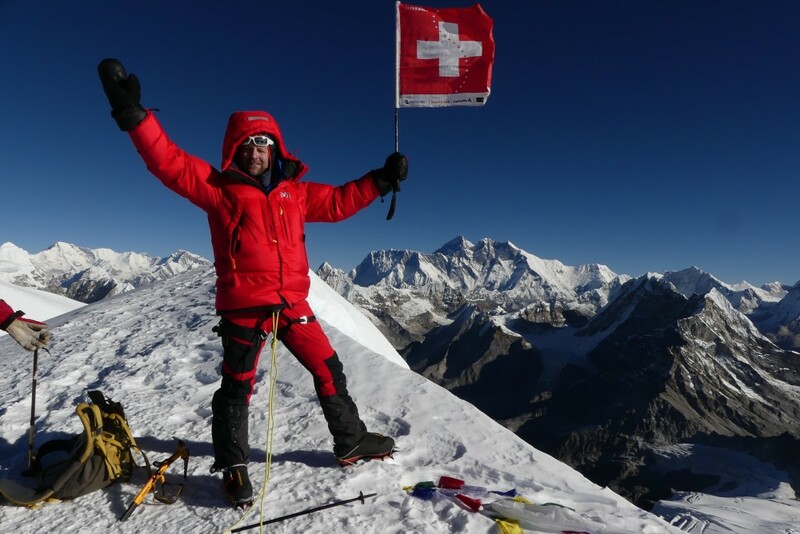 We will then climb Mera peak at 6,461m. 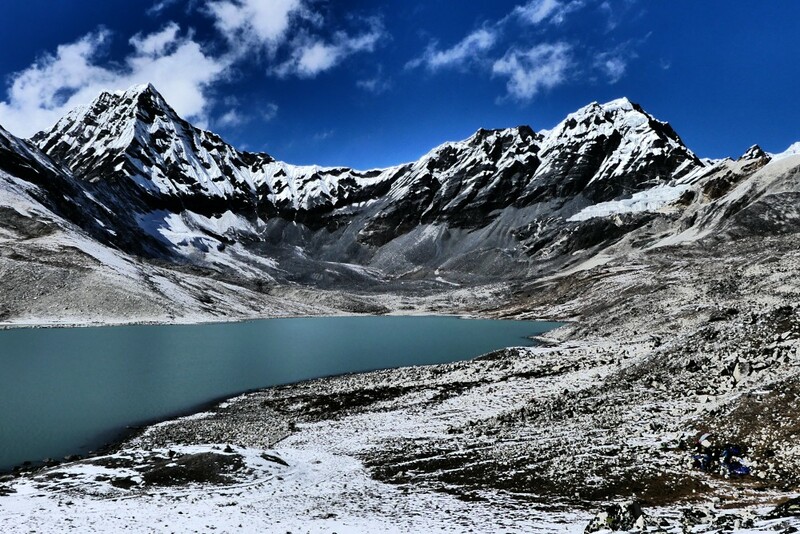 After the climb the adventure continue trekking over Amphu Lapcha pass at 5,800m. 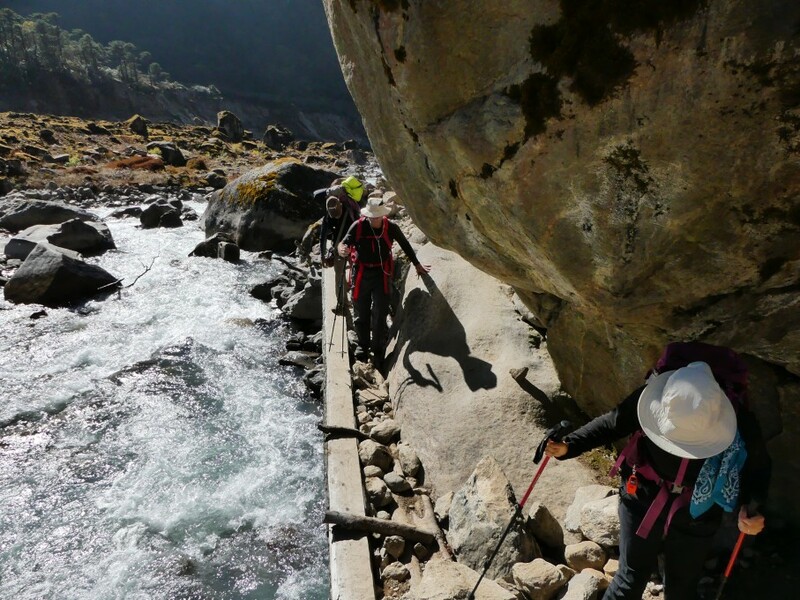 to reach the head of the Khumbu valley. We will hike to Everest base camp before going down to Lukla. 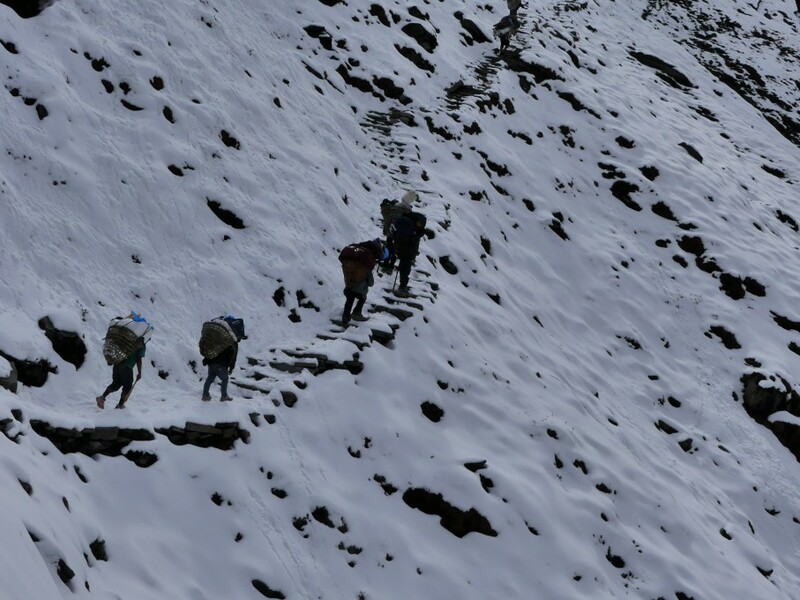 This expedition combine perfectly ascending a peak, crossing a technical pass and trekking two majors Himalayan valley. Meeting in Kathmandu one or two days previous to our departure. Review the gear, conditions and visit of the city. Day 1: Kathmandu to Lukla by plane and trek to chutyanga in the same day. Day 10: Mera high camp to Mera peak summit and getting back to Mera BC, and continue trek to Khongmading. On the way to Chetra La above Lukla. Summit of Mera peak with Everest and Lothse in the background.